From its origins in Yellowstone National Park in Wyoming to its confluence with the Missouri in western North Dakota, the Yellowstone is the longest free-flowing river in the lower 48 states. The upper reaches of the Yellowstone receives universal praise as one of the finest trout streams in the world. Ranches, pasture lands and homes old & new line the banks of the river here in Paradise Valley, and it’s this limited access that gives the river its reputation as a waterway better floated than waded. Our river access here at Yellowstone’s Edge has solved that problem for you! All 3000 ft of river access in this photo is available to our guests. 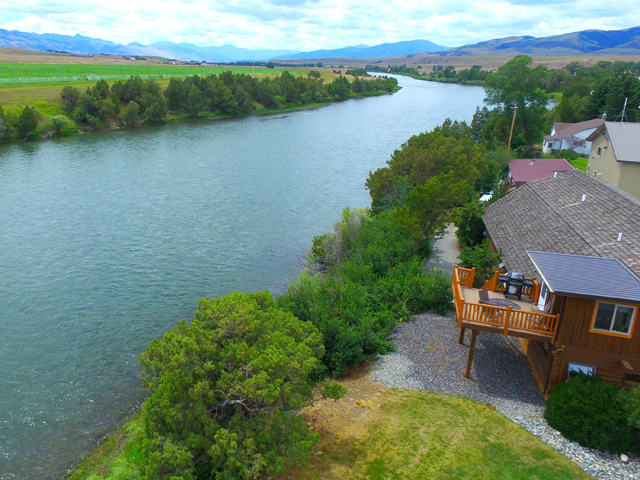 All 3000 ft of river access in this photo is available to our guests here at Yellowstone’s Edge. And at the southern end (bottom of picture) another 3000 feet of access is available right from our park. Every river seems to have its “blue ribbon” section of prime fishing water, and on the ‘stone’ it’s considered to be the “bird float”, between the access points of Grey Owl and Mallards Rest. Our RV park is completely within this section with 3000 feet of riverbank within our RV park, connecting at the south end to an additional 3000+ feet of state Fish & Game lands which our guests are free to enjoy. You can walk from your RV and enjoy over a mile of wading on this world-class fishery. Our access ranges from gradual, shallow rocky areas suitable for youngsters and timid waders, to the boulders, riffles and holes favored by trophy trout.A trout crazy town like Livingston is full of well-stocked fly shops, staffed by experts that can tell you where, when, and what you need to target that fish of a lifetime. And if you need a change of pace we can point you towards Mill Creek or Big Creek, two wonderful tributaries that hold native cutthroat and some VERY sizable Rainbows!And if the LONG 4 mile drive to the Angler’s West Fly Shop in Emigrant has you worn out just remember it’s right next door to a wonderful cafe’, and 50 yards from a delightful bakery! We look forward to hosting you here at Yellowstone’s Edge and helping to get your fishing pointed in the right direction. We have a campfire outside the office every evening at 7:00 PM. It’s a great place to hear fishing stories and to share your own…NO EYEWITNESSES….A fishing license is required. As riders ourselves we hope that you’ll unload your trailers, toy haulers, or bumper lifts and explore the GREAT motorcycle roads that surround us. Dual sport riders can head up Mill Creek or up into the Tom Miner Basin and find everything from mellow gravel two track to Forest Service cuts that will take you to the back of beyond. Road riders can head off in any direction for the kind of riding that fills the pages of magazines and stays with you forever, or at least until you ride it again. 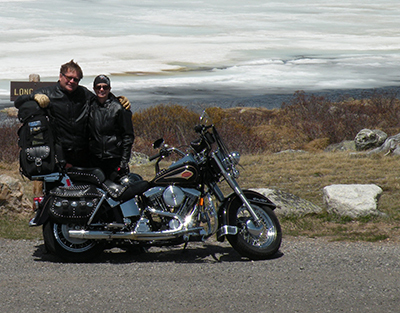 If you follow the driving/riding directions for the Beartooth Highway you have another world-class option. 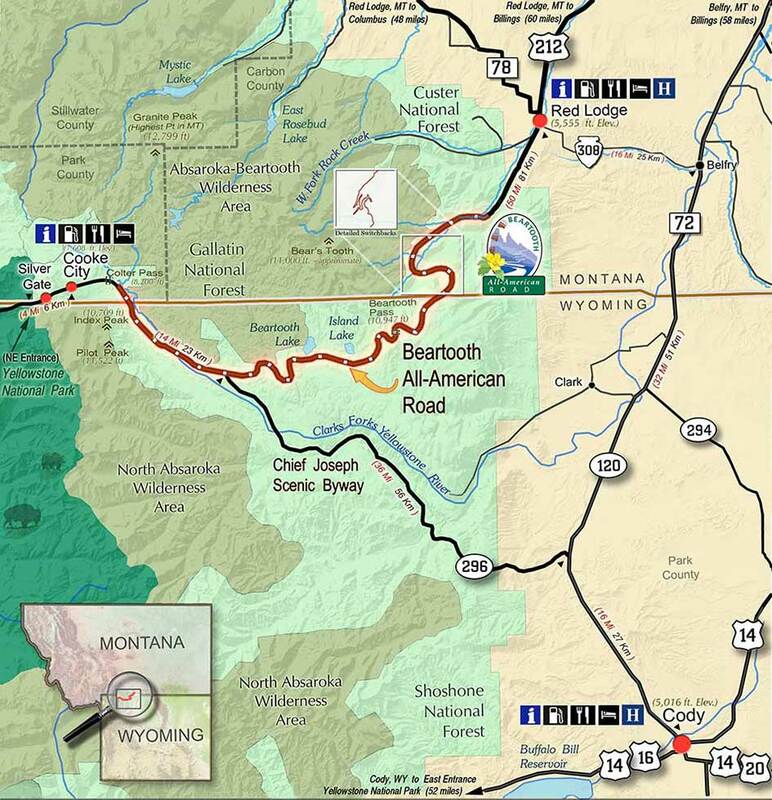 Fourteen miles outside of Cooke City is a well marked RIGHT hand turn that will connect you to the Chief Joseph Highway.) If it’s a BIG day of riding you’re after, the Beartooth is waiting. From our RV Park enter Yellowstone through the North Gate and in Mammoth turn left and ride the amazing Lamar Valley, exiting the park through the Northeast Gate and into Cooke City. It’s a good idea to fill the tank here, you’ll have better things to pay attention to coming up. 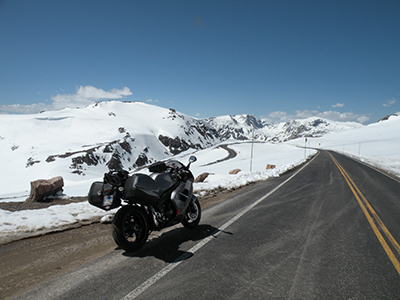 The Beartooth Highway makes everybody’s short list of spectacular roads…anywhere. 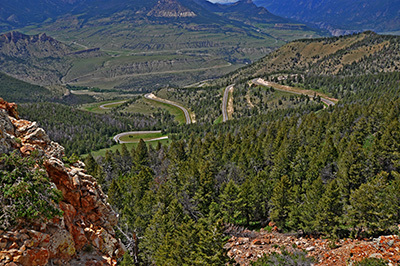 Before long the switchbacks will have you riding above the treeline, and you’ll summit the road at 10,970 ft!Then it’s countless switchbacks down to the valley and a great ride into Red Lodge for a well-deserved break. Highway 78 will take you through great rolling countryside on your way to Roscoe, and in Absarokee you’ll follow the Stillwater river into Columbus. Here you can jump onto I-90 and head back to Livingston. The Boulder River Backcountry Drive is a forty-seven mile drive that leads into the heart of the Absaroka Mountains south of Big Timber, Montana. 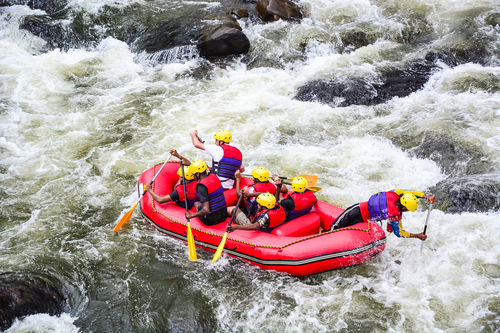 The route closely follows the Boulder River, which provides excellent fishing and, in its upper reaches, superb access. The first twenty or so miles of the drive follow a paved road, before turning to a gravel surface for the remainder of the route. 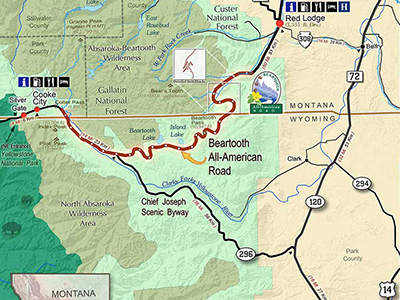 The drive, which is a one-way trip, dead-ends at a popular trail head that lies at the edge of the Absaroka-Beartooth Wilderness Area. Highlights of the drive include Natural Falls Bridge State Monument, the Boulder River, beautiful agricultural fields south of Big Timber and superb views of the Absaroka Mountains and the Absaroka-Beartooth Wilderness Area. Visit the BigSkyFishing.com website for more information. the road will get steeper…. We are blessed with an unsurpassed natural setting for this place of Music, here in Paradise Valley Montana, on the route to the main gate into Yellowstone National Park. It is our hope that many, many people of all ages, from here in North America and throughout the world will enjoy Music Ranch Montana, either as novice entertainers, acclaimed professionals or as happy listeners. We hope that you keep in touch and come by for a visit. There are a great many people involved in this dream and we all look forward to serving you. Visit the Music Ranch Montana for more information and upcoming events! Live Music Fridays & Saturdays – Visit the Saloon At Chico web site for more information and upcoming events. Annual Music Festival in White Sulpher Springs, Montana – Visit the Red Ants Pants Music Festival for more information! Visit the LIVINGSTON CLASSIC PBR TOURING PRO DIVISION website for more information and ticket sales. 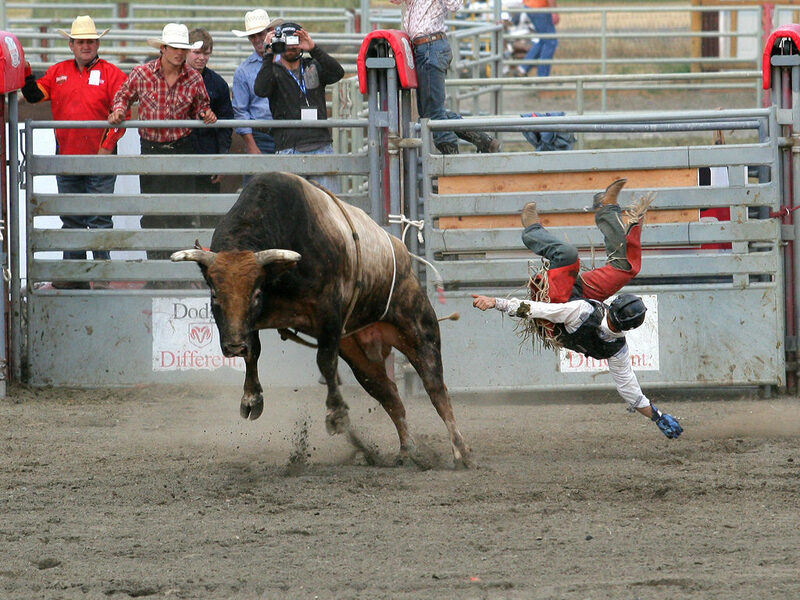 The Livingston Roundup Rodeo has a long and colorful history of its own, dating back to the “Roaring 20s,” when the event began. 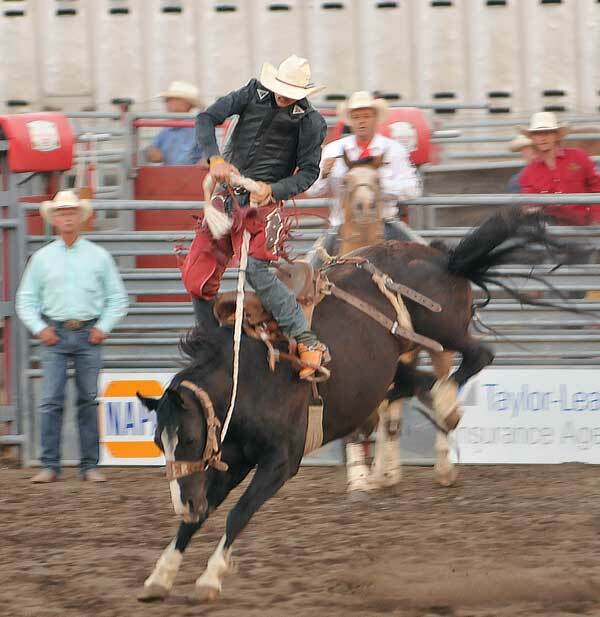 Visit the Livingston Roundup Rodeo website for more information and ticket sales. 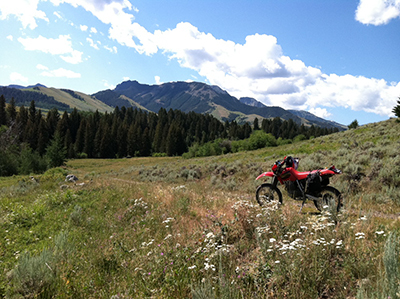 In Montana, off-highway vehicle (OHV) enthusiasts have many opportunities to enjoy riding in selected areas adapted to the rider’s skill level. To learn more about off-highway vehicle riding trails in a specific area, contact the local public land agency to obtain a map that shows legally designated routes. Visit the Montana Fish, Wildlife and Parks website for more information. Visit the Montana 4×4 Association web site for more information. RiderPlanet USA offers a complete list of the best and most popular dirt bike trails, ATV trails, scenic UTV and OHV routes and motocross tracks in the country. We are dedicated to helping you find great places to ride your ATV or dirt bike where people will welcome you and your vehicle. 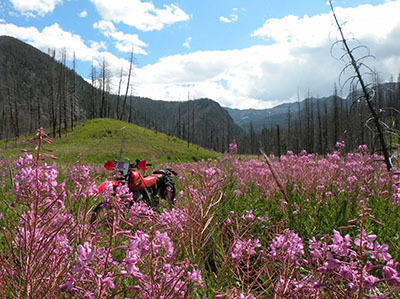 Visit the RiderPlanet USA website for more information on 4 wheeling in Montana. Visit the museum website for hours, directions, tickets, upcoming events, etc. Windsurf on Dailey Lake, 30 miles south of Livingston, with Emigrant Peak hovering at 11,000 feet above. Daily Lake has the most consistent winds in Montana and is a safe lake with a gravel launch site and no obstacles. 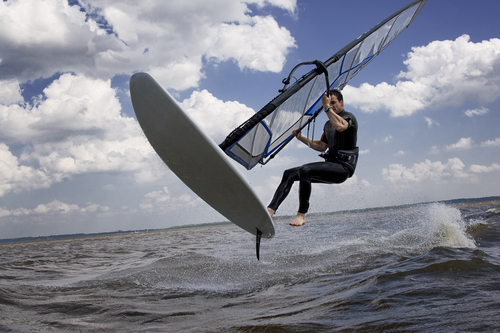 In addition to windsurfing, the lake provides great fishing for trout and walleye. For equipment or directions and trails contact Timber Trails on Park St. 406-222-9550. There is a vast variety of wildlife in Paradise Valley and Yellowstone National Park. Livingston Chamber of Commerce – visit the Chamber website to find out more information in the visitors guide on local art galleries, theaters, businesses, events, antiquing, tennis, golf, biking, skiing, and more.